Firstly I was amazed and delighted at how many of you came forward. However I also noticed that as usual us mums do worry if we are doing things the correct way or should have done approached this type of learning differently. Of course we tend to blame ourselves as well! Over the coming weeks I'm going to publish all of these stories, as I think we will all identify with at least one of them and learn from many others. One particular submission has a great message behind it and seemed a good place to start. Have a read below of this lovely piece from Rachael Martin. Rachael is a writer and journalist living near Milan in Italy. She has been there 20 years, is now fluent in Italian herself and has raised her children bilingually. As far as bilingual kids are concerned I'm quite relaxed about the whole thing. I tried the one language one parent approach but it didn't really work because my kids used to just turn round and say "but mum, you speak Italian anyway" and I do, I'm fluent. I've had "issues" with my kids not wanting to be spoken to in English (tell me the story in Italian, mum). I think a lot of it boils down to wanting to be the same as their friends at the end of the day. And to be honest, I've just learned to relax into it. I think at the end of the day you just really have to go with what suits your kids and your family. Keep speaking to them in your language, and don't despair if all they do is reply to you in the language of the country where you're living. It's still going in. 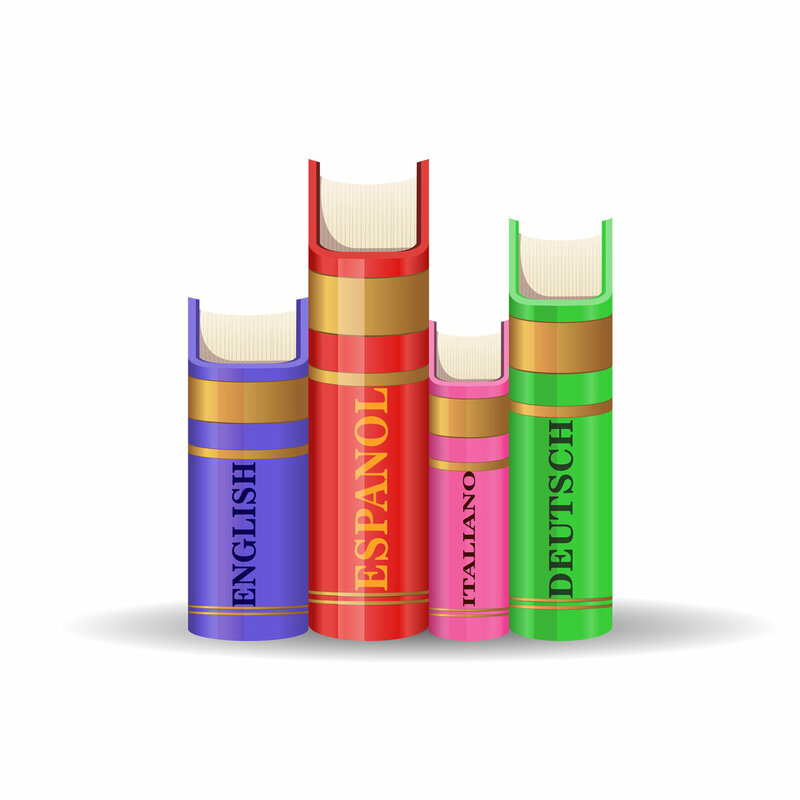 What does help is if your partner is fluent in your language and you can adopt your language as the language at home. But if you can't or it just doesn't work, then try to keep it in perspective. I never wanted to put my kids in the classroom, so to speak, - that's just me as a mother - so I decided to do a lot of reading with them rather than taking a more structured approach. I bought about four box sets of readers and I started off with them and then one day my younger son just picked up an English book I'd bought him and started reading it. It really helps to get them a book in the target language that they really love. And let them go off and read it themselves. I tend to follow their lead to a certain extent. I don't want to add any pressure about the whole thing as they get enough pressure from school as it is. It has to be fun otherwise they can just turn round and refuse to have anything to do with it. I originally taught English when I first came to Italy and I guess it should have made me more strict about the whole thing, but actually it's had the reverse effect. I've seen how much language learning really does take its own course - you can teach people things and then they forget it a week later. We all have our own "internal" language learning systems. So I think the key is to respect that. If they're going through a phase where they're refusing to speak the target language, don't get too stressed about it. Give it time and above all, keep it enjoyable and respect them. I think the latter is very important. I have my mother tongue just as they do and we all respect that. Although it was interesting the other day as my 10 year old turned round to my 9 year old and said "You see, I'm a bit more English and you're a bit more Italian as my first language was English and yours was Italian." I think it's like anything in life. You can have rules but really you have to keep an open mind. The ground is changing all the time and what might suit you at one time might not be right at another time. Of course some would say no. You have to be really strict. Maybe so, but it's just never worked like that in our family. It's even more interesting now as we're all learning Spanish as we spend a lot of time in Spain too. They're having lessons with a brilliant teacher who got them speaking and writing from day one, although they'd been absorbing it for a few years before that. Their Spanish is better than mine, and I can be texting and reading it back to them so they can tell me if it sounds right. So they're seeing mum learning too. When we're in Spain it all becomes a mix. My elder one will learn French next year at middle school, and my younger one will follow the year after, and I'm really looking forward to it. Then there'll be four languages. They're realising that language isn't just for language's sake, that language is a key to understanding a culture. That's what I've always tried to convey to them and they're really showing they understand this now. I was the mean mum who used to send them off to ask for their own ice cream when they were really little. And that's definitely worked. It's about language empowerment, giving them the confidence to use it.